Kia Ceed GT Line revealed at Geneva motor show | What Car? 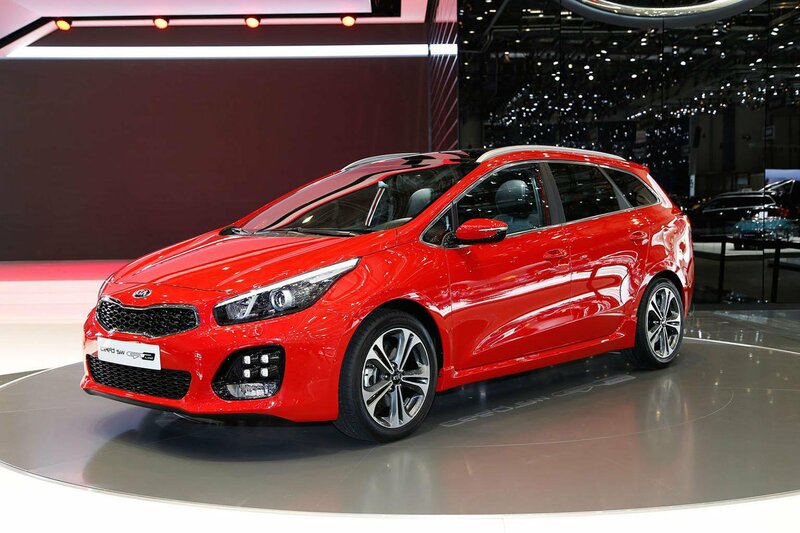 Kia is showing off the Ceed in a sporty new trim - GT Line - at the Geneva motor show. Its arrival also heralds the launch of a new engine and transmission for the Ceed. GT Line comes with a selection of visual upgrades both inside and out to give it the looks of hot-hatch GT model without the increased performance and running costs. The GT Line is available on the five-door Ceed, the three-door Proceed and the estate version, the Sportswagen. All three get 'ice-cube' LED daytime running lights, restyled bumpers, and side sill mouldings. The Ceed and Proceed models have the wider bumper from the GT version as well as twin exhausts, while the Sportswagon gets dual exhausts and a rear diffuser. Inside, they get the piano black and leather steering wheel and aluminium alloy pedals from the GT, along with a new grey, white and black upholstery with grey stitching. The dashboard gets a new aluminium engine start-stop button and chrome trim around the air vents and electric window switches. A new 1.0-litre T-GDI three-cylinder petrol engine has also been added to the Ceed range; Kia says the new 118bhp engine will offer lower CO2 emissions than the existing 1.6-litre petrols. The 1.6-litre diesel has also been upgraded for 2015, with a power boost from 126bhp to 131bhp. Kia also claims that CO2 emissions will be reduced as part of the tweaks, although the final figures will not be revealed until later this year. A new seven-speed DCT dual-clutch automatic gearbox will be offered on the GT Line and other Kia models, with the company saying the new unit will be more efficient than the current six-speed auto. Final CO2 emissions and UK pricing will be revealed closer to the GT Line's launch later this year.